When a problem is discovered in a student's paper, it doesn't matter whether it's a word, a phrase, a paragraph, or even an individual letter or punctuation mark. Simply highlight it, click a comment in the GradeAssist menu, and the appropriate feedback will be added to the right margin of the student's paper. GradeAssist for College Writing works with Microsoft Word to enable a wholly new and exciting experience in formative writing instruction. Once the software has been installed, simply start Microsoft Word and discover the new GradeAssist tab at the top of the Word window. A single mouse-click will activate the GradeAssist tab and you'll be on your way. 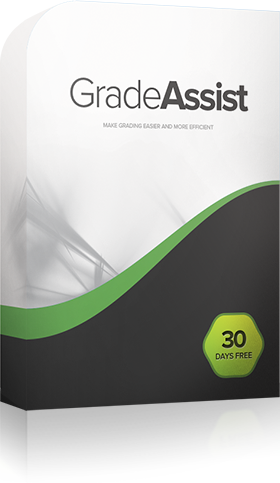 The GradeAssist Ribbon is divided into several comment groups, each designed to work in support of your grading practices. Editing provides a wide array of comments and feedback dealing with copy editing, fonts and capitalization, spacing, and positive feedback. Wording, Writing, & Grammar features dozens of comments focused on commonly misspelled or misused words, problems with sentences and paragraphs, and other to-be-avoided issues that frequently appear in student writing. The References comment group is singularly focused on the references/bibliography portion of student papers, with detailed feedback on page formatting, rules for appropriately listing authors and dates, as well as the current rules for referencing electronic and Internet-based documents (e.g., DOI & URL). Finally, Endnotes offers educators the opportunity to insert at the end of a paper a number of general, all-encompassing comments that will further instruct the student author. View a sample student paper that has been reviewed and critiqued by an educator using the GradeAssist software. Moving your mouse ("mousing") over a button or comment option in a dropdown menu will display the full text of the comment that will be inserted by that button.